In the co-main event of the evening, 22-year-old Agilan Thani authored another awe-inspiring performance, overwhelming ONE Championship newcomer Amitesh Chaubey with his thunderous slams and powerful ground-and-pound. The action began with strikes at the center of the ONE cage as Chaubey goaded Thani into a striking exchange. Once Thani was able to close the distance however, the Malaysian wrestler dumped Chaubey onto the mat and easily transitioned into full mount. From top position, Thani blasted Chaubey with ground strikes to finish the round. The second round saw much of the same from Thani, but after another overhead slam that ended in side control, “Alligator” immediately sourced an Americana to force the tap. 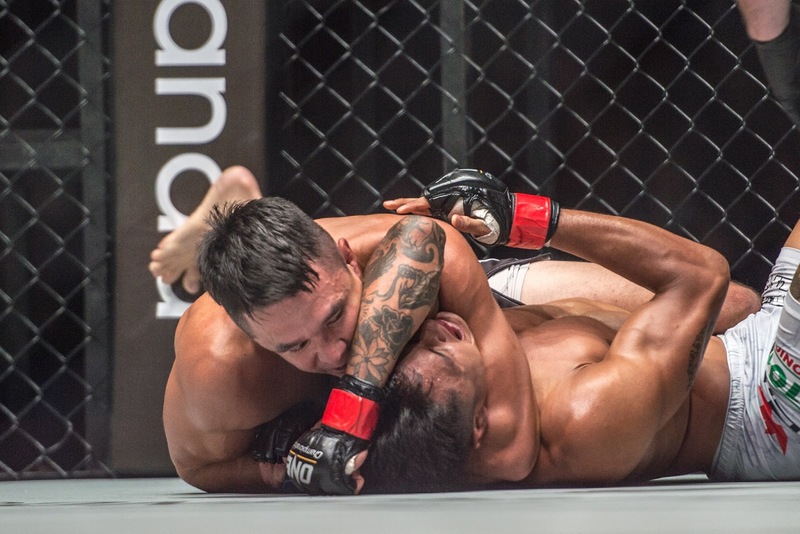 In a gruelling three-round contest, Luis “Sapo” Santos of Brazil overcame a tremendous effort from ONE Championship newcomer Kiamrian Abbasov of Kyrgyzstan to win by unanimous decision. The 38-year-old veteran displayed his familiar power early, tagging Abbasov with thudding high kicks and sharp combinations. Despite Santos’ striking dominance however, Abbasov was able to survive the onslaught and take the Brazilian to the final bell. In the end, all three judges scored in favor of Santos.